National Museum Cardiff: Open Tuesday–Sunday, 10am–5pm (Galleries close at 4.45pm). Closed Mondays. Chapter Gallery: Open Tuesday, Wednesday, Saturday, Sunday 12-6pm; Thursday, Friday 12-8pm. Closed Mondays. The upcoming Artes Mundi 7 Exhibition will showcase works by six outstanding international contemporary artists whose practices explore current social issues and everyday life. 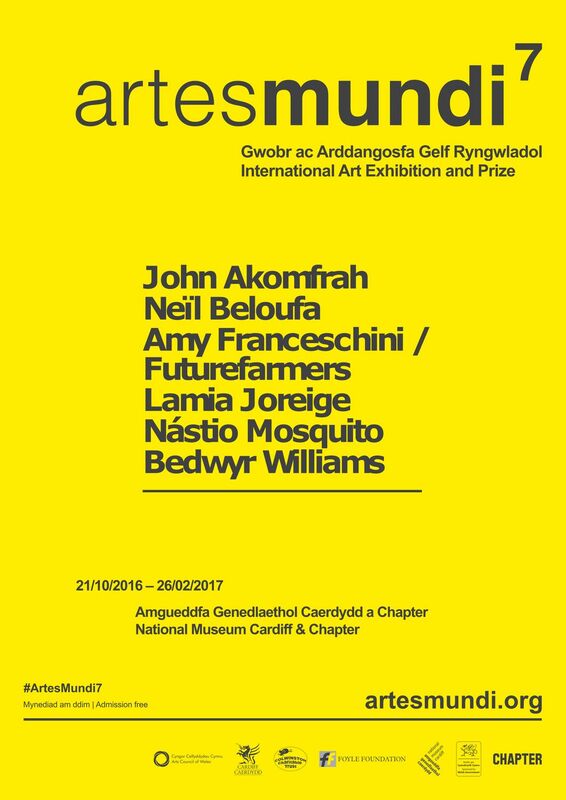 The Artes Mundi 7 shortlist includes: John Akomfrah (UK, Neïl Beloufa (France/Algeria), Amy Franceschini / Futurefarmers (USA/Belgium), Lamia Joreige (Lebanon), Nástio Mosquito (Angola), Bedwyr Williams (UK/Wales). 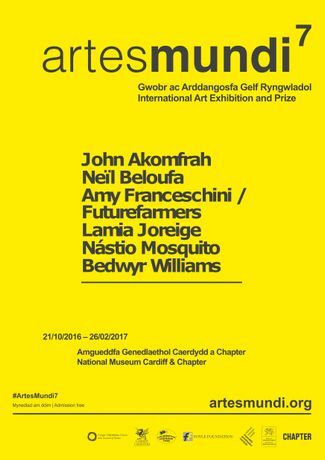 One of these artists will be awarded the £40,000 Artes Mundi 7 Prize, the largest art prize in the UK, on 26th January 2017. Chapter. Market Road, Canton CF5 1QE. Open Tue, Wed, Sat, Sun: 12-6pm. Thu, Fri: 12-8pm.